Today it was reported that the SVP OF DISTRIBUTION of O’Reilly Auto (ORLY), Larry Lee Ellis, exercised options to sell 800 ORLY shares at $88.33 a share, for a total transaction value of $301K. Following Larry Lee Ellis’ last ORLY Sell transaction on February 27, 2018, the stock climbed by 149.4%. In addition to Larry Lee Ellis, 2 other ORLY executives reported Sell trades in the last month. Based on O’Reilly Auto’s latest earnings report for the quarter ending December 31, the company posted quarterly revenue of $2.31 billion and quarterly net profit of $300 million. In comparison, last year the company earned revenue of $2.19 billion and had a net profit of $302 million. ORLY’s market cap is $30.67B and the company has a P/E ratio of 24.08. The Company has a Price to Book ratio of 86.7173. Based on 10 analyst ratings, the analyst consensus is Moderate Buy with an average price target of $387.11, reflecting a 0.7% upside. The insider sentiment on O’Reilly Auto has been negative according to 71 insider trades in the past three months. This sentiment is lower than the average sentiment of company insiders in this sector. 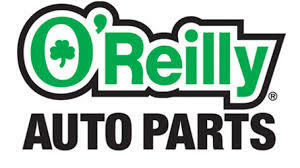 O’Reilly Automotive, Inc. owns and operates retail outlets in the United States. It engages in the distribution and retailing of automotive aftermarket parts, tools, supplies, equipment, and accessories in the U.S., serving both professional installers and do-it-yourself customers.